Wendy Weir, Environment and Sustainability Manager at Brisbane discusses the challenges we all face as an industry in the fight for sustainable development. The more difficult it is to reach your destination, the more you’ll remember the journey. As an airport sustainability manager who sometimes struggles to provide a business case behind sustainability targets, quotes like this tend to raise my blood pressure when I’m feeling frustrated. But then I remember Kermit the frog singing “It’s not easy being green” in the opening speech by Schiphol Group’s President and CEO, Jos Nijhuis, at the 2016 Airports Going Green conference at Amsterdam Airport Schiphol, and I feel slightly better. Kermit and Jos were certainly right, and it’s an accurate reflection of Brisbane Airport’s journey with sustainability to date. Why is being green difficult? We often say that Brisbane Airport is the ‘airport in the middle of the attractions’. We are Australia’s third largest airport by passenger numbers and the largest capital city airport by landmass. At nearly 23 million passengers a year, and soon to open a new parallel runway, we are primed for growth. However, we have another three international airports right on our doorstep, therefore being in the middle of the attractions has its advantages and its disadvantages. The major Australian airports were privatised in the late 1990s under Commonwealth leasing arrangements with the majority now being owned by public, unlisted companies. Along with privatisation came the Airports Act and subordinate legislation. This legislation outlined the environmental compliance aspects that needed to be addressed by the airport lessee companies. However, being unlisted companies, there is limited statutory requirements to publicly disclose environmental, social and governance (ESG) risks and performance, as per companies listed on the Australian Securities Exchange from 2014 onwards. 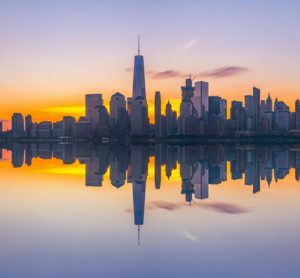 Twenty years later, airport environment managers are left with cumbersome legislation that has not changed even though the world around us has changed. After the global financial crisis hit, Australia’s mining boom of the 2000’s came to a sudden halt and Brisbane’s domestic passenger numbers went from a steep upward trend, to relatively flat. Fortunately, international passenger growth is strong, although competition amongst the airports is unrelenting. Combine this with changing government policies on climate change, and you have a very confused business sector unable to determine the best way forward for balancing profit and planet. So now we have a low growth scenario, limited requirements to disclose sustainability performance, and a lack of consistent climate change regulation. Now place shareholder expectations for financial return over the top and what happens? Sustainability plays a backseat role. 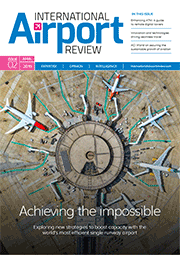 Keep in mind that most shareholders of Australian airports are superannuation firms (i.e. pension firms). As such, dividend preferences are for regular payouts, with free cash flows going back to pay the pensions of retired mums and dads, like my own. That makes me feel slightly better. Where does all this leave sustainability targets? Way below financial targets in the pecking order of things, that’s where. If a project is not required from an environmental compliance perspective, then it must compete against commercial projects for funding and meet the company’s hurdle rate. How many acronyms are there in aviation anyway? I counted closed to 500 on Wikipedia but I’m sure that barely scratches the surface. Now add a few more acronyms to learn: IRR, NPV, ROA and ROE. If you’re like me, you probably groaned at this point. Let’s look at another factor here that’s a little too close for comfort. Ourselves. To generalise, it is highly likely that most airport environment managers chose their careers based on their values. That is, social consciousness defined our career choices, and so we studied environmental science or an equivalent instead of business and finance. As a result, we are now in the position of needing to up-skill in finance and capital management, because sustainability projects require capital investment decision making. And to do this, we need to be able to speak finance. Gaining credibility in the business and rising above the “tree huggers and greenies” label to become respected business colleagues that are valued by the company, is essential. But at the same time, perhaps finance, accounting and facility managers need to talk our talk as well? Otherwise, how can we effectively communicate the value of environmental sustainability initiatives to senior management? The Oxford Dictionary defines value (noun) as “the regard that something is held to deserve; the importance, worth, or usefulness of something” and, as the “material or monetary worth of something”. One of the biggest barriers that airport sustainability managers are up against is that ESG impacts are not given a monetary value in traditional capital decision making processes. Nor does corporate social responsibility often feature as a key strategic milestone in the business plans of privately owned airport companies. If there are any out there, I’d love to know how these airports have achieved it. Therefore, how do we integrate sustainability targets into long term business strategies under this scenario? The solution that presented itself at Brisbane Airport was provided by our facilities managers. The people who change the light bulbs and pay the utilities bills are the ones who see the economic value in reducing electricity consumption. We both want the same thing but we have different reasons for wanting it. Isn’t sustainability just good business sense? Yes, environmental sustainability is good business sense because it’s about reducing natural resource consumption and operating costs. Installing energy efficient lighting systems is a sustainability initiative, but in the context described above, it must have a higher NPV and IRR than traditional, energy intensive lighting systems such as fluorescent lighting. Sustainability must be communicated in a way that makes economic sense. It must either create value for shareholders or at least not negatively impact EBITDA. Energy efficient technology and renewable energy are becoming more affordable as technology gets cheaper, which is helping to make the business case viable. Investors are showing increasing attention on ESG aspects and impacts that are material to a business. The ratification of the Paris Climate Change Agreement was unprecedented in its scope and will increase the need for transparency and accountability, not to mention climate regulation. International agreements such as the Paris Climate Change Agreement are adding pressure to Australia’s bipartisan political parties to finally agree on a common course for greenhouse gas reduction. However, this still remains to be seen. Fortunately, amongst this hopeless scenario comes a ray of hope, with the airline industry voluntarily making itself accountable through the CORSIA agreement. 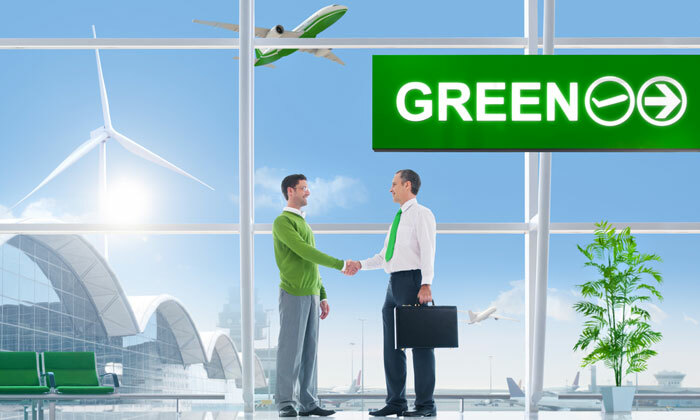 Meanwhile airports are voluntarily committing to the ACI Airport Carbon Accreditation scheme and signing up to the Airports Sustainability Declaration, which was launched at the Airports Going Green conference in November 2016. How’s that? The industry holding itself accountable because governments will not? Outstanding is what it is. Despite all odds, and perhaps because of the odds, Brisbane Airport Corporation (BAC) can still count itself as a leader in sustainability. We dedicated over 10 per cent of Brisbane Airport’s landmass to biodiversity conservation in 2009; we have achieved carbon neutral growth since 2012; and we have maintained Level 3 (Optimisation) Airport Carbon Accreditation since 2015. Meanwhile throughout 2016 we achieved a number of goals. We were the first airport in Australia to develop a Reconciliation Action Plan, which was launched during National Reconciliation Week in May; we developed a climate change risk adaptation plan in July; we released our first public Sustainability Report in October; and were a signatory to the Airports Sustainability Declaration in November. In the next two years, BAC could have up to 20 per cent of its energy sourced from onsite solar power generation, 11 electric buses operating on airport, and half of Brisbane Airport’s water consumption sourced from recycled water. That’s a miraculous achievement considering the context within which we operate. Perhaps Susan Gale was right after all, as the journey getting there has certainly been memorable, however the destination is still a long way away. Wendy has written an insightful article highlighting some of the key challenges and opportunities which exist for airport operators to focus on sustainability – what’s good for the environment also makes perfect business sense!